We’ve recently received this email at the Nova office from the team at Care for Europe. The new proposed EU Directive on Human Trafficking, which proposes excellent measures on prevention, victim care and prosecution, going further than current UK legislation, is to be voted following a joint debate of the Civil Liberties Committee and the Women’s Rights Committee of the European Parliament next Thursday (2nd September). The joint Rapporteurs Edit Bauer MEP (Slovakia) and Anna Hedh MEP (Sweden) are recommending that the wording proposed by the European Commission be strengthened by, amongst other things, (i) making it clear that victimsshall not be prosecuted for their involvement in activities they have been compelled to do (AM27); (ii) knowingly using the services of trafficked people becomes a criminal offence (AM45); and (iii) by calling on Member States to confiscate traffickers’ assets and ensure that profits seized from them are used to support victims (AMs 23, 24, 25 & 26). Please pray that the suggested improvements to the directive mentioned above will all be voted for and therefore become part of the final report. Please consider encouraging MEPs who are members of these Committees to support the recommendations of the Rapporteurs in Thursday’s vote. You can find their details here and here. Transitions Online reports on a growing generation gap between older followers of Sufism and younger, Saudi-educated, Muslims who espouse a form of Islam often refered to as Wahhibism and which is based on Sunni Islam, similar to that in Saudi Arabia. Sufiism is a mystic form of Islam popular among the small ethnic groups of Kists that originate in the north Caucasus. The Kist communities are located in the Pankesi Gorge in the north of Georgia. Eka Chianava, a journalist working for Liberali, visited the village of Duisi in October of 2008 and reported in her Catword blog that although the youth were turning away from the traditional Sufi form of Islam, there nevertheless appeared to be little tension at that time between the two Islamic groups. The dominant presence of the new mosque and the dwindling size of the existing Sufi congregation in Duis, a little over 50, suggests that the ‘purist’ form of Islam espoused by the Jamaat congregation is the more likely to survive in the immediate future in this corner of Georgia. 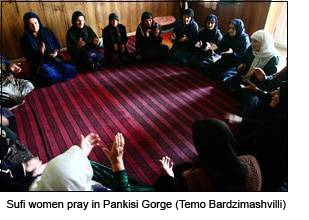 Similar tensions between ‘traditional’ and ‘Wahhibi’ forms of Islam exist among the Islamic populations of the Balkan countries. Kent Anderson, the new British Director for European Christian Mission (ECM), has begun blogging at ‘A Christian in Europe‘ about his personal reflections as he contemplates the new challenges he faces. His latest post is a reflection on the low numbers of evangelicals in Europe. 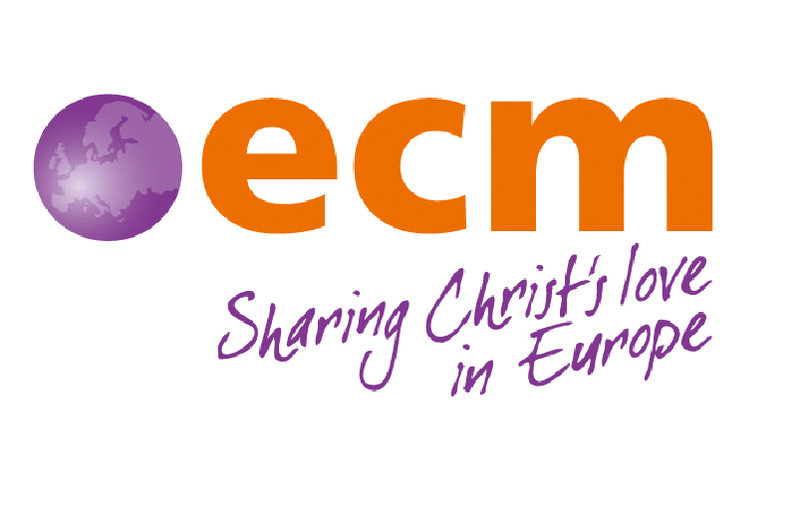 ECM was founded in the 1920s by an Estonian and continues to deploy mainly European missionaries across other parts of Europe. Kent’s approach is down to earth and reflects the traditional church planting and evangelism concerns of ECM. His posts this week have included reference to the ‘terrorist priest scandal’ in Northern Ireland and a report on church planting in France. News has just reached us that publication of the new Orthodox course ‘The Way’ is scheduled for the end of September. Published with the support of World Vision and drawing inspiration from the success of Alpha, ‘The Way’ will be formally launched at St Botolph’s without Bishopsgate, London, at 7pm. on the 7th October. A brochure for the course can be downloaded by clicking here. A copy of Missionary Informer: A survey of British Missionary Activity has recently crossed my desk. It was published from a survey of British Missionary Societies in 1951 and lists missionaries by continent. The survey reveals that there were 103 British missionaries serving with missionary societies in continental Europe. The greater number of these were working in Spain (29), France (23), Malta (14), Germany (6), followed by Belgium, France, Portugal and Switzerland (each with 5) . The ratio of missionaries to nationals was calculated. Malta had one British missionary for every 22,000 Maltese nationals whilst in Italy there was only one missionary per 9,199,000 Italians. The survey only counted protestant missionaries and probably didn’t include chaplains serving Anglican congregations and chaplaincies (serving for example with the Intercontinental Society or with the Diocese of Europe). 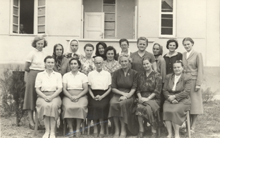 It did include missionaries working with the Glynn Vivian Miners’ Mission (in France, Germany and Spain) and one missionary in Yugoslavia with the Barbican Mission to the Jews.